Whether you live in North Florida or you come from elsewhere around the country, you might be thinking about attending a North Florida rehab. For many clients, rehab is the key to overcoming addiction and maintaining sobriety for life. Knowing that, it can be tough to pick the right kind of rehab and the right location. Take a look at some of the reasons why a North Florida rehab center like Beaches Recovery might be the perfect fit for you or your loved one. First thing’s first: What makes North Florida rehab such a popular option? For many prospective clients from all around the world, the Sunshine State is special. It holds the promise of something new and the possibility of a fresh start. If getting to rehab is half the battle, then picking rehab in an appealing destination is a great choice. Beyond that, a North Florida rehab center can take advantage of its natural surroundings and its climate. That means that depending on the facility location, clients might expect to spend time riding horses or heading to the beach. By offering facilities with outdoor recreation, and having the climate to use those facilities year-round, clients will be much better off. The next question you might ask is whether it is better to pick a local rehab center or head out of town. This is such a personal question, and the answer depends on the client. For those who live in North Florida, a local rehab center might make sense financially and logistically. That’s especially true for anyone who plans to participate in outpatient rehab programs. On the other hand, a fresh start can be appealing. 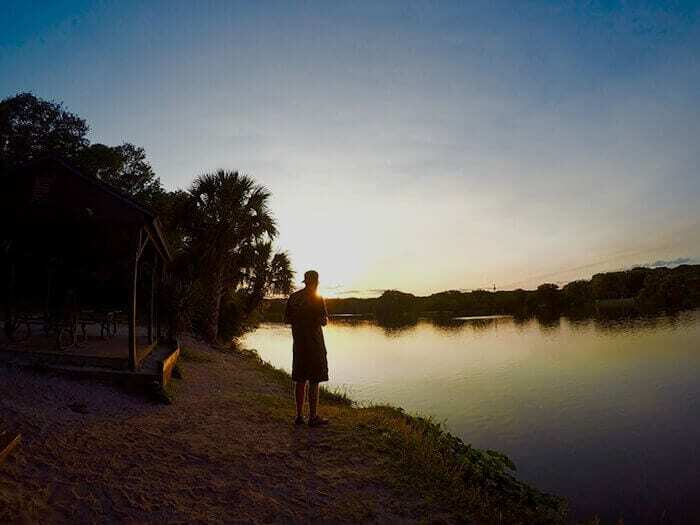 Whether you live in Central Florida, across the border in Georgia, or across the country, a residential drug rehab program in North Florida could be good for you. If you feel the pull to a warm climate and a welcoming atmosphere, then Beaches Recovery could be ideal. There is a tendency to focus on location when picking out a rehab center. Although location does matter, don’t limit yourself to one spot if the quality of local centers isn’t adequate. Instead, look at the program quality and the variety of options available to incoming clients. At Beaches Recovery, clients can expect incredible care, qualified staff, and accreditation from The Joint Commission. Clients can choose from a wide range of programs that fit both their needs and their lifestyles. Whether you’re searching for residential programs, sober living options, or outpatient care, it’s all available in one convenient place. At a North Florida rehab center like Beaches Recovery, you can look forward to a number of therapies. The best way to approach addiction recovery is with comprehensive care that includes both evidence-based, clinical treatment, and more holistic strategies. This approach also gives clients the opportunity to pursue the therapies they benefit from the most. Since addiction recovery is not one-size-fits-all, every client deserves the chance to explore a variety of methods and use the ones that work the best. This is also a great chance to dig deeper and explore the underlying causes of addiction, which again are intensely personal and vary from one person to the next. As you explore your North Florida rehab options, pay close attention to Beaches Recovery in Jacksonville, Florida. Our North Florida rehab center sets the bar high and helps client fight back against addiction once and for all. To learn more about our programs and availability, call 866.605.0532 today.